Within 30 miles of Fairfax County. I’ll attempt to search almost anywhere where metal detecting is allowed. I have a required local call out fee of $25 (payable whether or not item is found) . This fee is due upon arrival at your location and is used to cover gas & expenses. For property markers There is a $25 per marker charge in addition to the local call out fee. For lost items, I work on a reward basis, that means you pay what it's worth to you / what you can afford to have me find your lost item. I search yards, gardens, parks, fields, woods, campgrounds, farms, caves, beaches, lakes, streams, in water up to 3ft deep. I am a professional outdoorsman who began metal detecting in 2013. I have sucessfully located items in multiple states in the US as well as recovered items in Asia. I enjoy the hunt and the FIND... I would love to help you find your item. 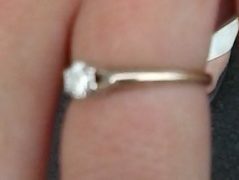 I recently lost my beloved engagement ring and Earl saved the day! I cannot say enough about how incredibly grateful I am for his willingness to go above and beyond on his holiday weekend to help us out. He was not only an extreme pleasure to meet, but an amazingly talented treasure finder. I can’t express how much the time he spent to search out my ring meant to me and my fiancé. He was absolutely amazing and I am beyond thankful for the work he did to find it for me. Earl is incredible, he is fantastic at what he does and generally an awesome person. His professionalism was exemplary. Thank you so much for your time and expertise, you made me so happy and I am so grateful people like you are out there, I cannot express my gratitude enough. Thank you so much!! Thrilled we got to meet you!